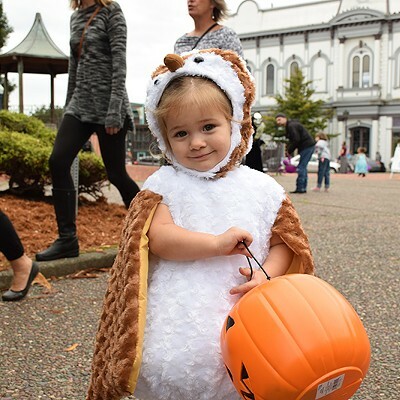 Committed dad David McBroom goes all out with daughter Aubrey. 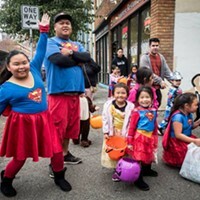 Halloween isn't over yet — aggressive candy-handlers will be fanning out across our county tonight to fill their plastic pumpkins, come whatever weather. 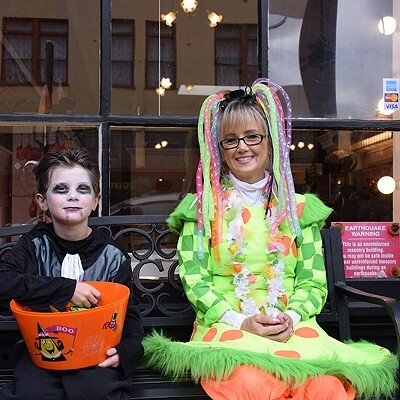 For many, it's round two, after chasing that high-fructose high from shop to shop along Main Streets and plazas on Saturday. 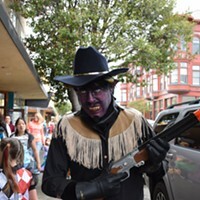 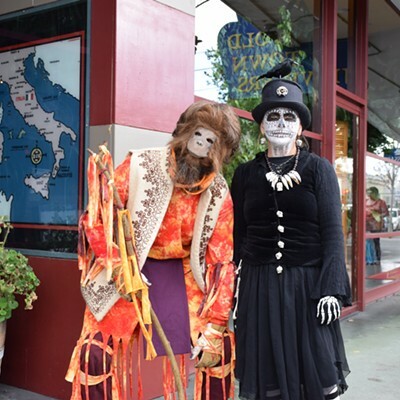 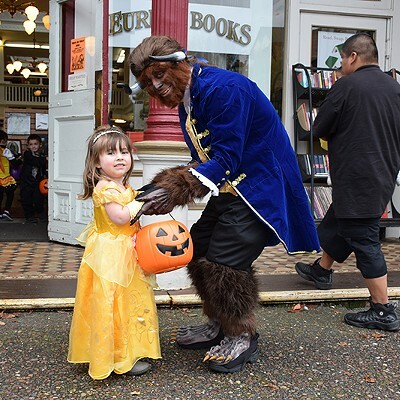 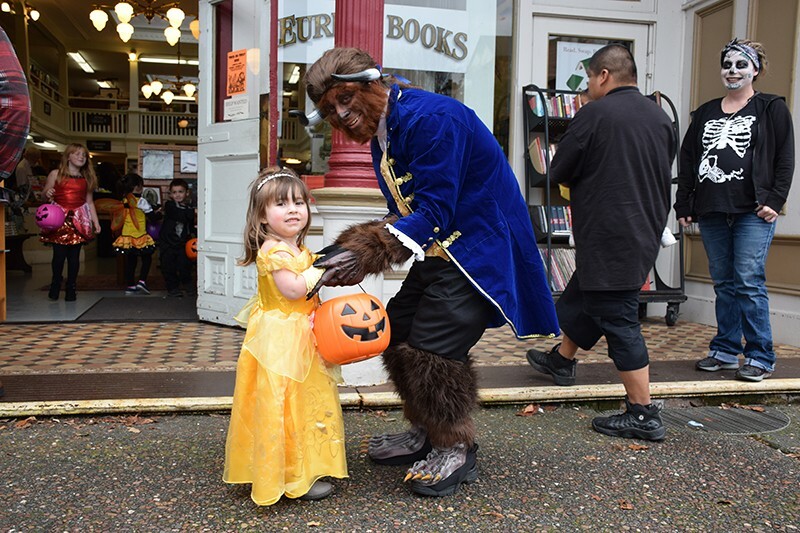 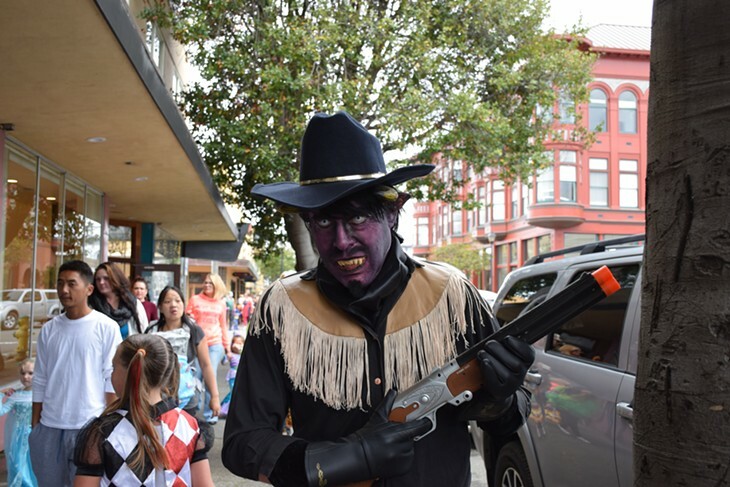 Eureka's Old Town was packed with ghouls and game characters galore, some adorable, some disturbing. 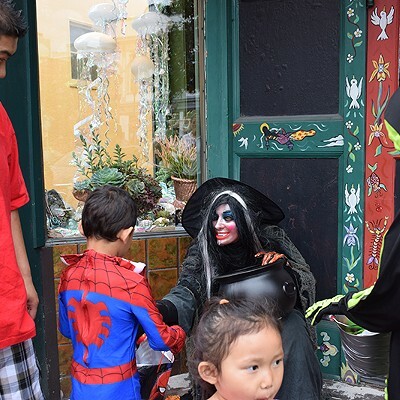 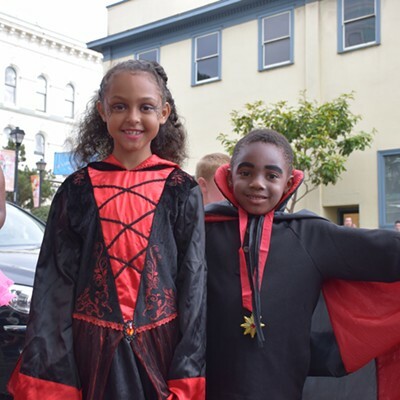 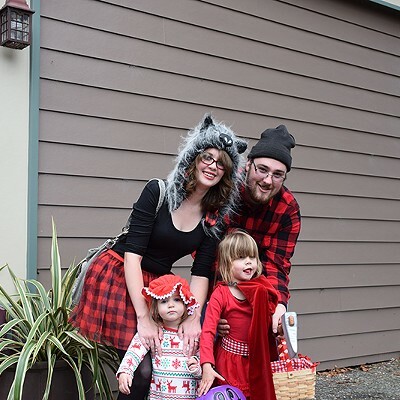 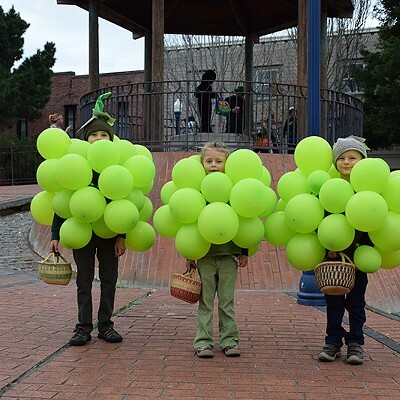 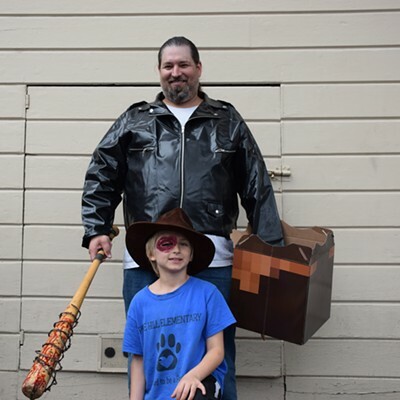 Enjoy this slideshow of the costumed fun and let it inspire you for tonight — even if it rains.